I'm writing some short stories. You want to know how it's going? Well, I'm loving it. I've found a writer that I'm totally in love with and he's helping me out - a lot. 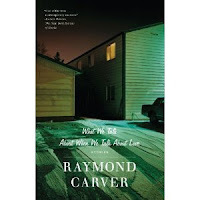 Raymond Carver. You're left to fill in some blanks. It's like a make your own adventure story, but much more satisfying.